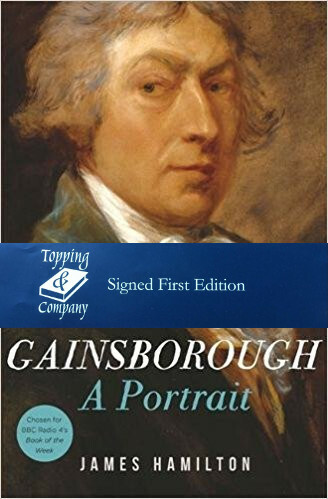 Gainsborough lived as if electricity shot through his sinews and crackled at his finger ends. He was a gentle and empathetic family man, but had a volatility that could lead him to slash his paintings, and a loose libidinous way of speaking, writing and behaving that shocked many deeply. He would be dynamite in polite society today.In this exhilarating new biography – the first in decades – James Hamilton reveals Gainsborough in his many contexts: the easy-going Suffolk lad, transported to the heights of fashion by a natural talent; the rake-on-the-make in London, learning his art in the shadow of Hogarth; falling on his feet when he married a duke’s daughter with a handsome private income; the top society-portrait painter in Bath and London who earned huge sums by bringing the right people into his studio; the charming and amusing friend of George III and Queen Charlotte who nevertheless kept clear of the aristocratic embrace.There has been much art history written about this chameleon of art, but with fresh insights into original sources, Gainsborough: A Portrait transforms our understanding of this fascinating man, and enlightens the century that bore him.